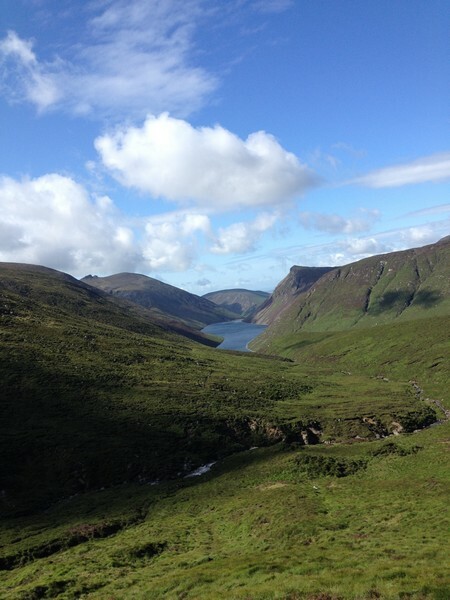 This tough mountain challenge in County Down, Northern Ireland involves climbing all seven peaks in the Mourne Mountains that are 700m or more above sea level. 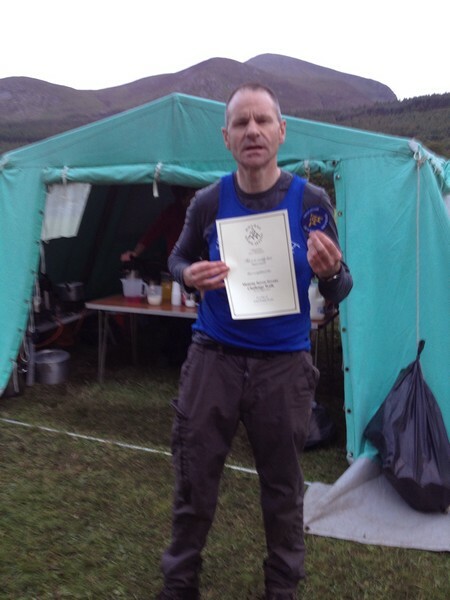 That's a distance of 18 miles and a massive 2,495m of ascent/descent with a maximum time to complete of 14 hours. 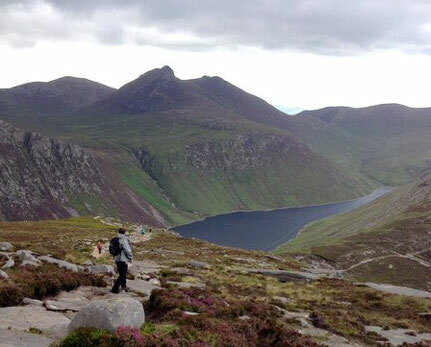 Following a fixed route walkers start with Slieve Donard, followed by Slieve Commedagh, Slieve Bearnagh, Slieve Meelmore, Slieve Meelbeg, Slieve Binnian, and Slieve Lamagan, then back to the finish in Donard Park, Newcastle. It's organised as an annual competitive event each August by the Spartan Red Sox walking club, but could be attempted on your own or with a local guide at any time. Unless you are using a guide, navigational skills, including the ability to use a map and compass are essential. 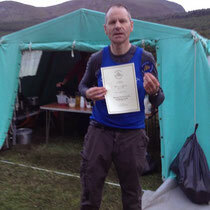 I was highly motivated to do this this trek on behalf of Support Dogs Charity. I have a family member who had developed adult epilepsy and this charity is one of a few places in the world that trains dogs to detect and epileptic attack 30 minutes before it happens. 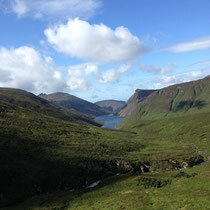 The trek training and advice I received from Cath at Peak Walking Adventures was invaluable. She quickly dispatched me off to the Lake District because she was fully aware that I had to get a lot of ascent and decent in. In the preceding months I did a lot of long and steep walks in the Lake District, including the Borrowdale Challenge and the Yorkshire Three Peaks. The walk itself was extremely difficult and beyond exhausting. Lots of bogs and then super hard boulders to clamber over. It seemed to go on forever. I could have happily quit at any moment. The only thing that made me finish it was the fact that I was doing it for a charity. When I finished, I swore I would never do it again. (I think my finishing photo speaks for itself) Guess what, I am going to do it again this year in August 2018 with my son and brother. Well I am Irish, what did you expect! Do a lot of cardiovascular work, running and spinning are very good. Never under estimate the challenge, if anything over estimate it, and invest in decent gear. Having a personal reason to complete will give you a significant boost. Take some Nurofen tablets as these are great for any swelling muscle's (Seek professional medical advice regarding taking them first). Make certain your head is in the right place for what lies ahead.